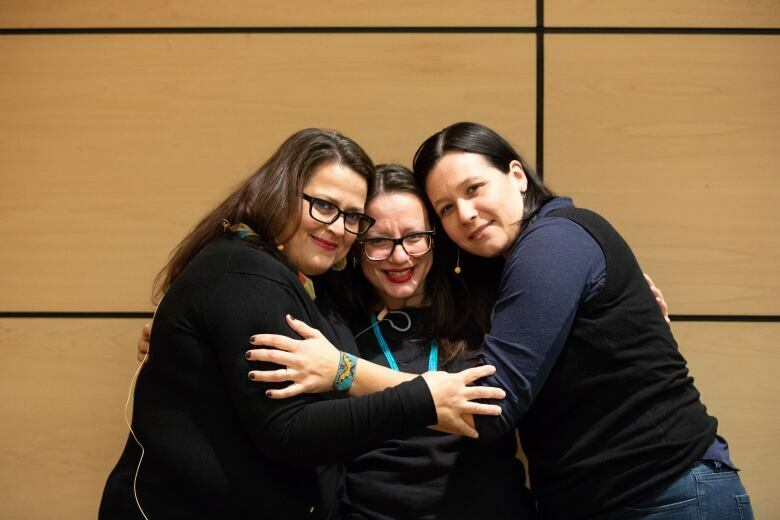 Tracey Lindberg was joined on stage by Métis writer Katherena Vermette and Métis writer Cherie Dimaline to talk about race and representation on Canada Reads, CBC's annual battle of the books. The first review Cree author Tracey Lindberg ever read about her book, Birdie, was on the site Goodreads. It said, "I really wanted to like this book." "I thought, 'Well, maybe I didn't write it for you,'" Lindberg told a crowd at the Toronto Public Reference Library. "Put it on a bus. Drop it in a park. Leave it at a library." 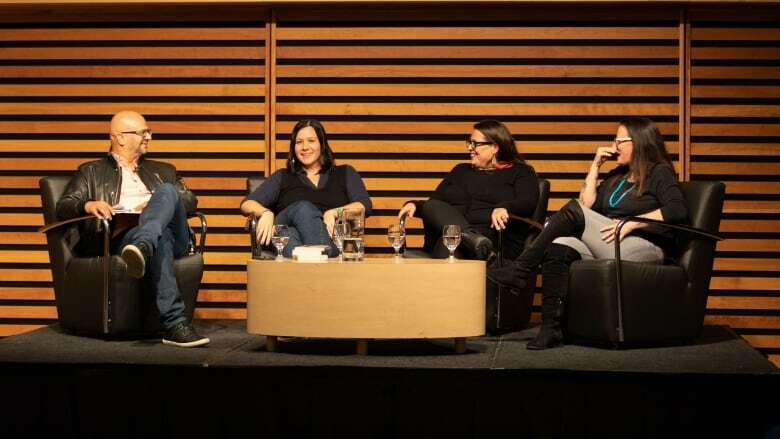 Lindberg was joined on stage by Métis writer Katherena Vermette and Métis writer Cherie Dimaline to talk about race and representation on Canada Reads, CBC's annual battle of the books. The panel came together after a tweet Lindberg wrote after the 2018 finale. Dear Universe: Please get <a href="https://twitter.com/katherenav?ref_src=twsrc%5Etfw">@katherenav</a> <a href="https://twitter.com/cherie_dimaline?ref_src=twsrc%5Etfw">@cherie_dimaline</a> and myself to talk about Canada Reads, Race and Representation in one room. Soon. "When you read Katherna's work, when you read Cherie's work, you think, 'That should win,'" Lindberg said on the panel, moderated by Canada Reads host Ali Hassan. "So when they don't win, there's part of me that says there's something structurally or institutionally or universally wrong in the way that it's proceeding." Vermette's book, The Break, was on the 2017 season of Canada Reads — she didn't expect it to be well-received. "I tried to cram as much humour and hope as I could but we're talking about something that's horrific," Vermette said, referring to the trauma and struggles the characters face in her work. "You can't just ellipsis it away, you have to see it." In her experience with Canada Reads, she faced some unusual criticism: her book was "inaccessible to a white male." "I'm used to my work being dissected. I have a pretty thick skin, but it felt very pointed in a way that really shook me," Vermette said. "It's such an odd thing too, right, that we're being told it's inaccessible for the white male, because God knows there's no literature out there for white men," Dimaline said to an uproar of laughter from the crowd. Dimaline's book, The Marrow Thieves, was on the 2018 season of Canada Reads. In its post-apocalyptic setting, readers are meant to find similarities in what they see today. "The book is this sort of dystopian future look at the apocalypse, but the story is about residential school," she said. "We have survived our apocalypse." The conversation in front of an audience was long overdue for Lindberg. "There's a real serious conversation or a subtext that isn't being spoken about gender, race, sexuality, orientation that doesn't really make it on the stage," she said.